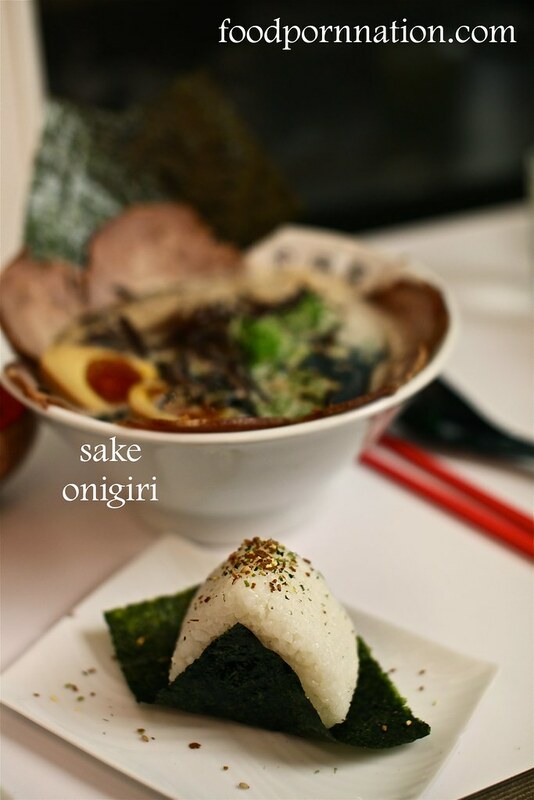 We also ordered both the onigiri options of flaked salmon (£3) and sour plum (£2.50). Overall, we found the rice a little too wet (note 1). The filling of flaked salmon was also a little bland. The sour plum was very sour and tart, which was as it should be, but it was an acquired taste. So was this the perfect ramen? Well the broth came very close to being the perfect tonkotsu broth, so on this alone it was an absolute winner. 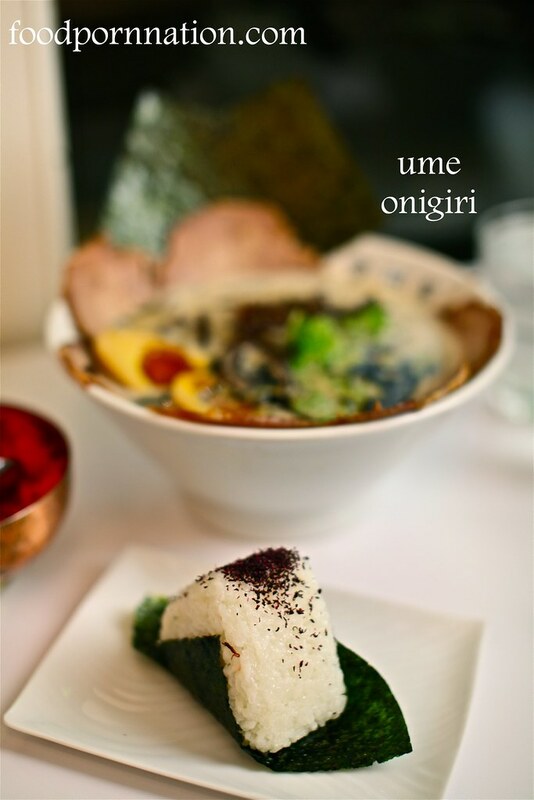 We also loved all the added extras such as the egg, nori and garlic oil. 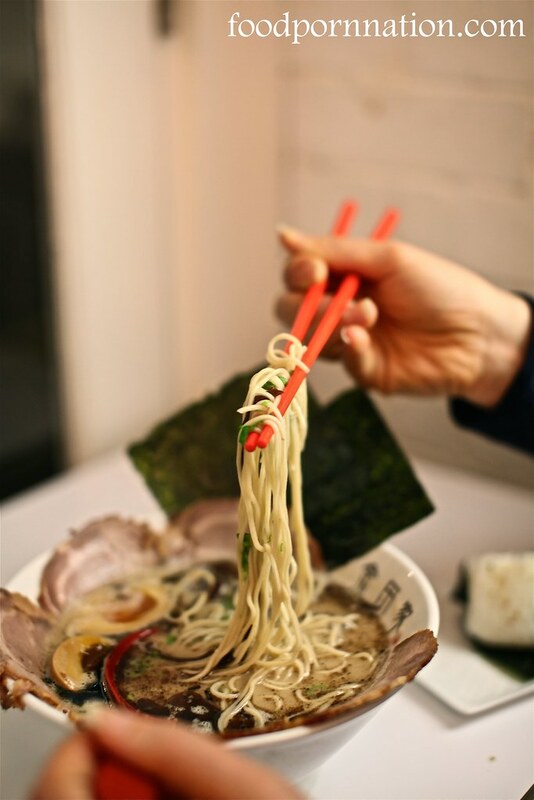 So yes we would say that this was one of the best tonkostu ramens in London. Service was friendly, knowledgeable and efficient. We would happily go back again for more. Note 1: On a second visit we found the rice to be fine so we think the wet rice was a one off. 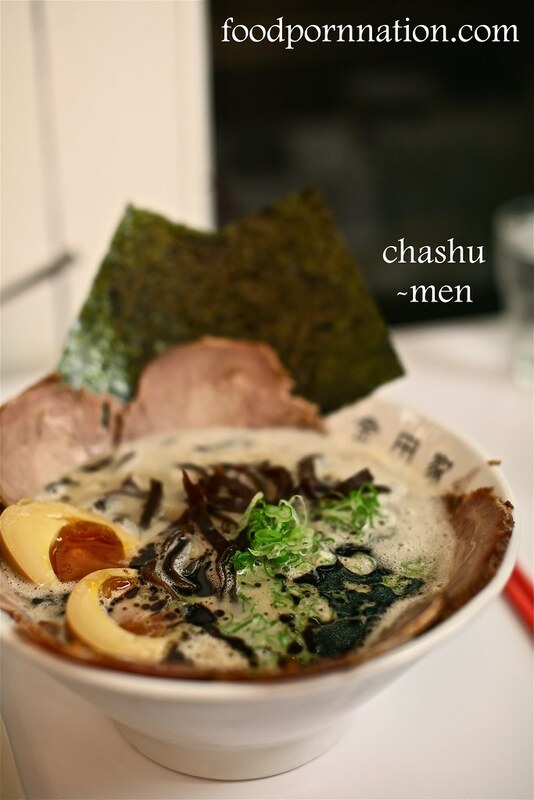 The chashu cured egg, nori and garlic oil were magnificent additions to the broth. Service was friendly, knowledgeable and efficient. The chashu was a little dry and would have benefited from a bit more fat. The rice in the onigiri was a little too wet. The flaked salmon onigiri was bland. Waiting outside for 30 minutes but it really was worth the wait. Price: £10-£20 per person excluding drinks and service.